ABS-CBN has beefed up its annual fun run for the rehabilitation of Pasig River by launching a simultaneous advocacy run across five cities in the Philippines and the US dubbed as the “One Run, One Philippines: Isang Bayan para sa Kalikasan” on October 6 as part of its 60th anniversary celebration. 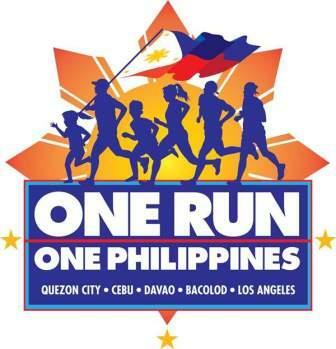 The “One Run, One Philippines,” which will take place in Quezon City, Cebu City, Bacolod City, Davao City, and Los Angeles (USA), will have different beneficiaries. The “Run for the Pasig River” will be held at the Quezon Memorial Circle in Quezon City and will again raise funds for the rehabilitation of the waterways in Metro Manila that contribute to the degradation of the Pasig River. The Cebu leg will benefit coastal conservation in Daan Paz; the Davao leg will support the ecotourism projects in Marilog Tourist Center; the Bacolod leg will help the mangrove and livelihood projects in Punta Taytay, Sum-ag River rehabilitation, and ecotourism projects in Bacolod City Water District Campuestuhan Watershed; while the Los Angeles leg will fund the Green Initiative of Bantay Kalikasan. To date, ABS-CBN Foundation’s Kapit Bisig Para sa Ilog Pasig (KBPIP) has organized four successful runs for the Pasig River and had raised P25.94 million. In 2009, the fun run funded the initial phase of Estero de Paco's clean-up, while the historic “10.10.10 Run for the Pasig River” funded the second phase and even broke the Guinness World Record for the “most number of participants in a running event” in 2010 with 116,086 runners. The 2011 and 2012 runs for the Pasig River are currently aiding the rehabilitation of Estero de San Miguel and four other esteros behind the Malacañang Palace in partnership with the Pasig River Rehabilitation Commission. As the “Run for the Pasig River” kicks off on its fifth year, KBPIP is again urging groups and individuals to join the advocacy for cleaner rivers and esteros in Metro Manila. The participants may opt between 3K and 5K categories with both 6:00 AM gunstart at Philcoa then head straight along Commonwealth Avenue and will finish at the Elliptical Road.